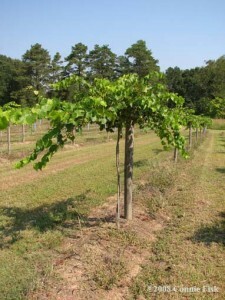 I am very happy to announce the first our first Muscadine Extension Team Building effort for North Carolina. This meeting focuses on developing and building extension teams and to coordinate extension efforts around the muscadine industry in the Southeast. This meeting focus primarily on extension personnel, but we want specifically reach out to interested growers as well. Registration is required: Please register for the meeting through our online form. Please reach out to everyone you think might be interested in this, especially extension agents and interested growers. • Have Input Into What NC State Does for You!